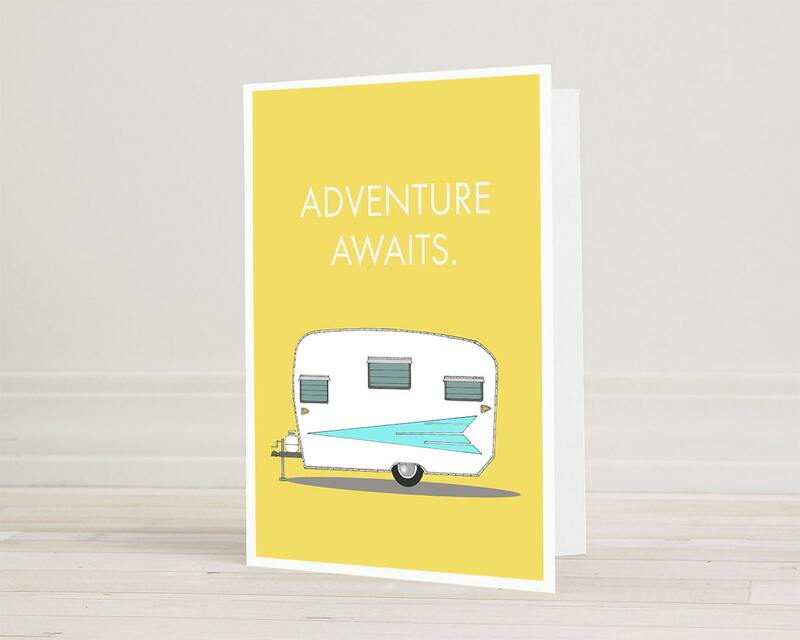 greeting card, blank greeting card, greeting card set, vintage camper greeting card, modern greeting card, retro camper - "Adventure Awaits"
The ever-adorable vintage Roadrunner camper, with aqua dart stripe. 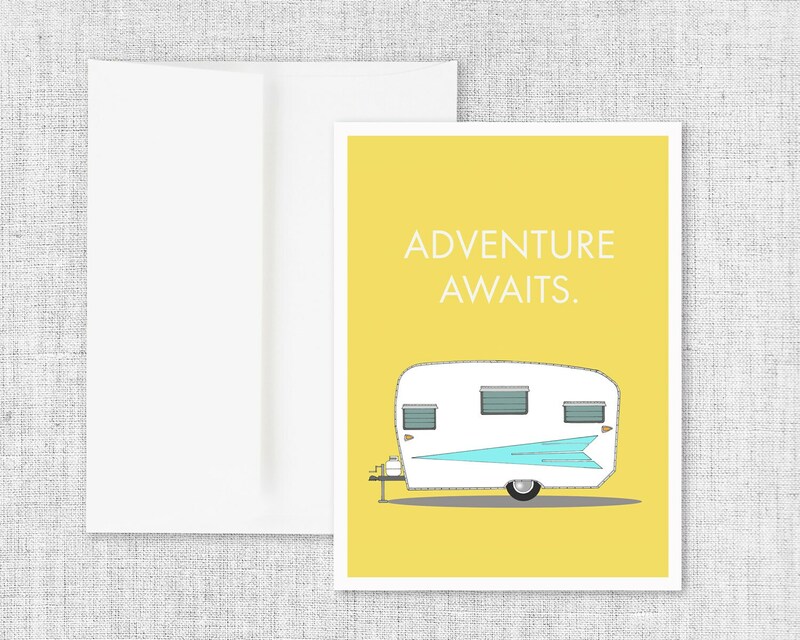 This one has the phrase, "Adventure Awaits" in bold modern text. 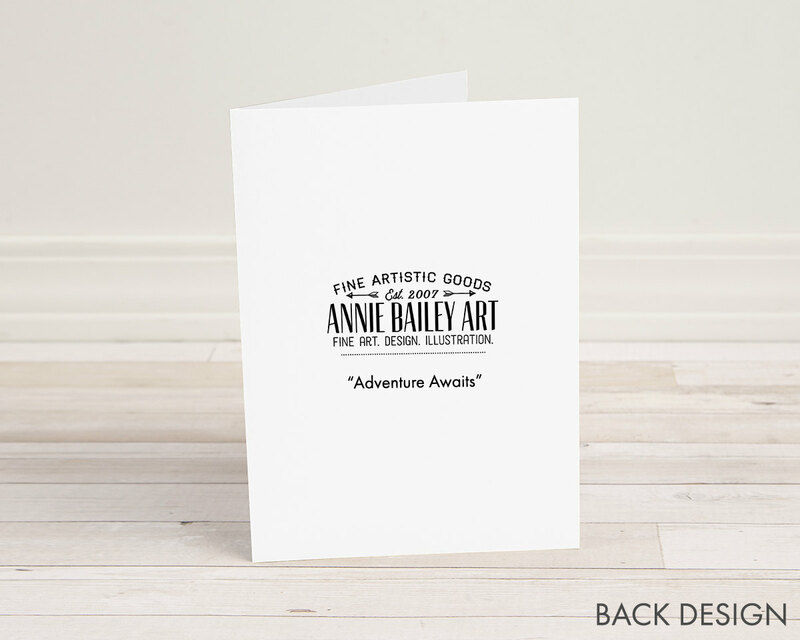 All designs begin as an original pen and ink drawing in my sketchbook, then they are digitally colored for bright colors and crisp details.